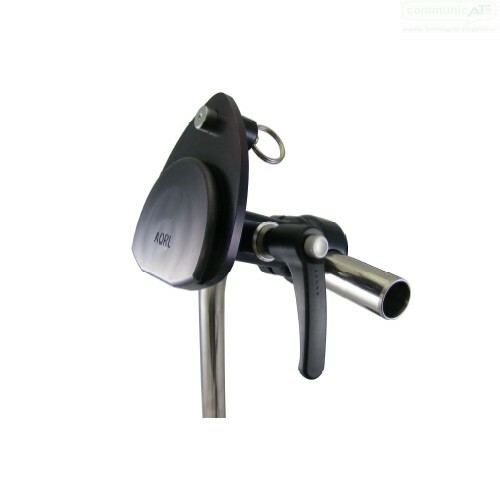 The DAESSY Rolling Mount is an independent floor stand for any AAC device or laptop. It comes in a variety of versions, the base is 36" wide. 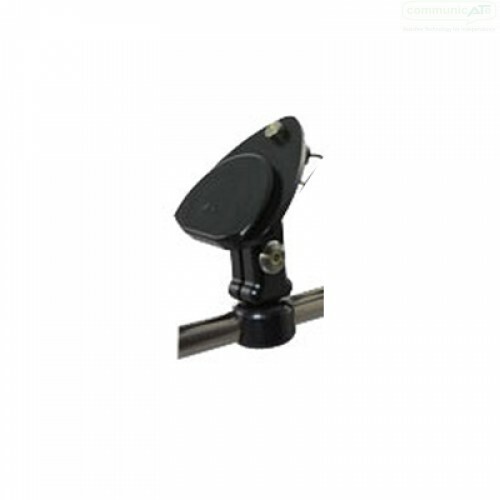 The Offset version allows the Rolling Mount to have more reach by fitting "around" a chair, wheelchair or table due to the base cross-bar attaching at the base corners. 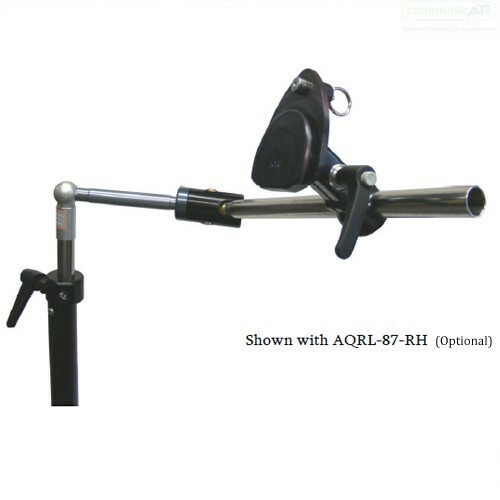 This Rolling Mount is only available in the Offset version. 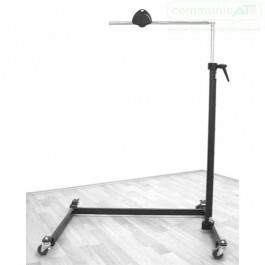 The Rolling Mount 36 has a choice of how tall it can reach. 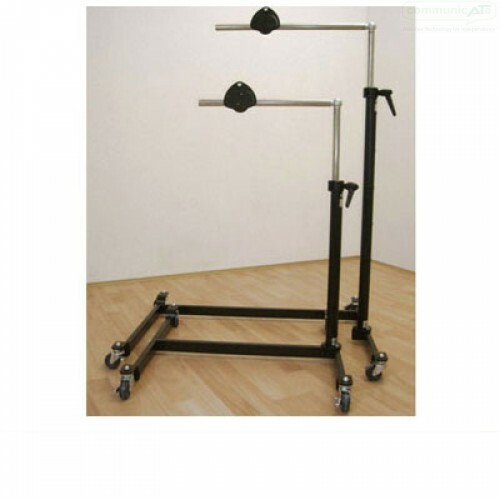 By adding in the Tall version, the height adjustability increases by an additional 33 cm but it also has a higher lowest point, with the horizontal tube starting 25 cm higher from the ground than the Standard version ROM36. 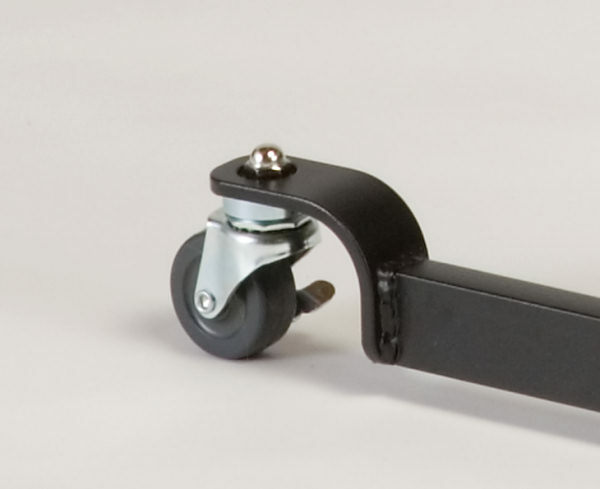 The DAESSY Rolling Mount is fitted with 5 cm locking casters that provide smooth travel over most indoor floor surfaces. All four caster wheels can be locked to keep the mount in position during use. 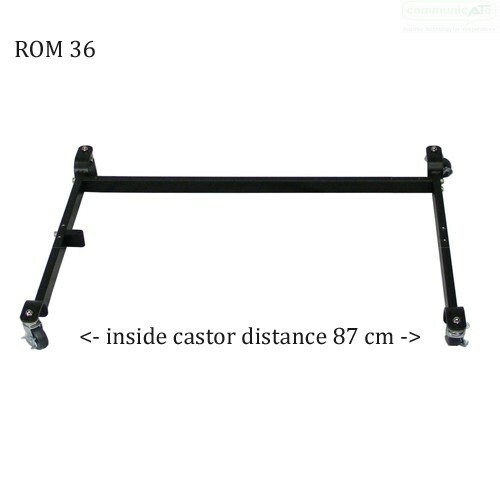 Low-profile base with 5 cm locking casters roll under furniture with 8.8 cm clearance. 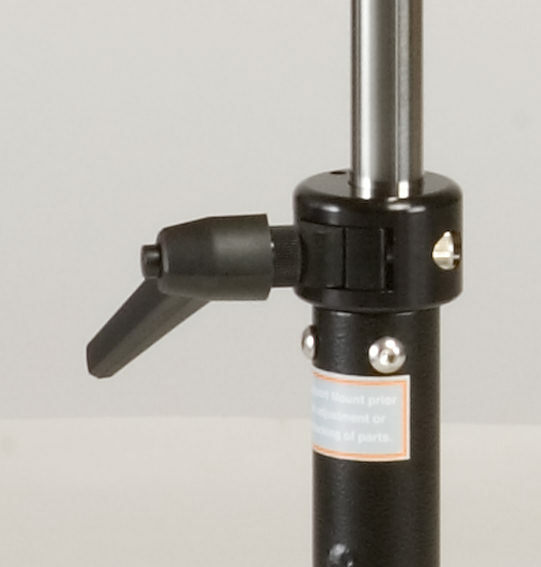 This version of the Rolling Mount 36 includes a Horizontal Top Tube with an Articulating Joint.